Canto Five takes a circuitous route to the famous Onyx Club in Manhattan, where our narrator, cozying up to Reader 4, Montana, suddenly finds himself—O peeling of the narrative banana—on a date with the famous Baroness Pannonica de Koenigswarter. The astral and Pannonian planes converge for a performance by Dizzy Gillespie, Charlie Parker, Max Roach and Red Garland. But, wait, …is that kid in the corner old enough to drink?! 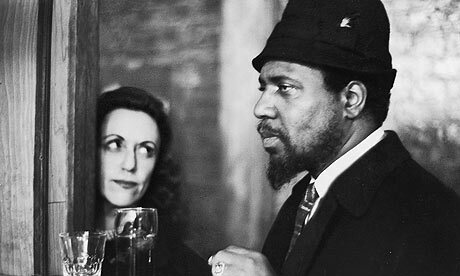 Click around for some of Nica’s black and white photographs of jazz greats on line. This entry was posted on July 14, 2010 at 12:40 am and is filed under Heroes. You can follow any responses to this entry through the RSS 2.0 feed. You can leave a response, or trackback from your own site.